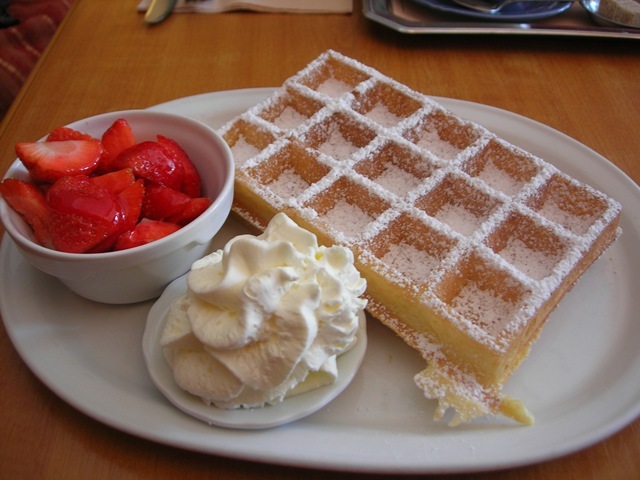 Belgian waffles are universal. You can find them in your local cafe, at the hotel restaurant when travelling, and they are very easy to recreate at home. 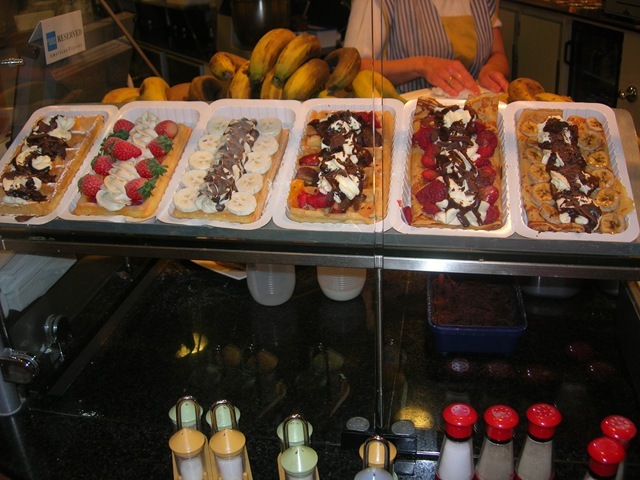 It’s fair to say that one need not be in Belgium to experience a good Belgian waffle. However, if you do happen to make your way to this European destination, this sweet treat is plentiful and come in more variations than you can count on your fingers. Nutella, honey, strawberries, chocolate, bananas, whipped cream…you name it, and it’s on it. They are light, crispy, and just melt in your mouth. A small dollop of chantilly cream and some macerated strawberries just take the entire experience to a whole other level. Their simplicity is such that you can easily recreate them at home. I thought I’d seen it all until I entered the subway platform in Brussels to find a small cafe (Yes in the subway) serving coffee with tiny wrapped chocolates for dipping, as well as a peculiar looking waffle that I had never seen before. I asked for one, and it was placed into the waffle maker that it was in a few minutes before to heat through. The result was a creation that was chewy, but tender, and had a molasses like quality with the sugar that had caramelized around it, enclosing it like a shell. It was the perfect morning pick me up, and an easy breakfast on the go. Unlike its cousin the Belgian waffle, I could easily walk around town munching onto this waffle with one hand, while holding a shopping bag with the other. 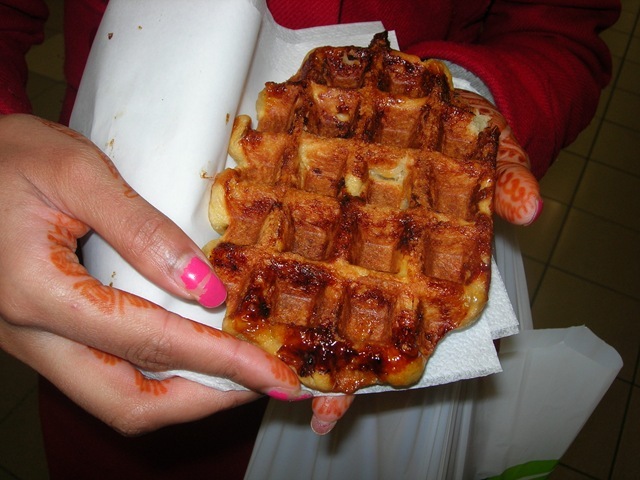 I soon came to find out that this type of waffle was indigenous to the city of Liège in eastern Belgium where the chef to the Prince created the recipe. The caramelization is the result of pearl like sugar that is pressed into the dough prior to baking, while the dense texture is attributed to a dough prepared in the style of brioche. It’s a good looking breakfast, no?